You must make reservations at least 5 minutes in advance of the time at The Source by Wolfgang Puck. Valet service by U Street Valet located at our main entrance on 6th St. for $8 cash. Metro Accessible by Green & Yellow line: Navy Memorial/Archives station, or, Red line: Judiciary Square. For special events information, please contact Catering Sales Manager Jenna Bernard at (202)-637-6106 or source.events@wolfgangpuck.com. Thank you! For catering information, please contact Catering Sales Manager Jenna Bernard at (202)-637-6106 or source.events@wolfgangpuck.com. Thank you! Located at The Newseum in Washington D.C., The Source by Wolfgang Puck is the museum’s signature dining experience and features innovative Asian cuisine, paired with unmatched hospitality and service. The sleek and contemporary restaurant is spread out over three distinct levels. Dining experiences include a casual and convivial bar & lounge area, an elegant main dining room and a subterranean private dining room. The modern design boasts floor-to-ceiling windows that line the restaurant and a two-story glass wine wall that holds more than 2,000 bottles of the restaurant’s impressive collection. The bar and lounge area offers approachable dining in a casual setting with an array of small plates and Happy Hour Specials. The second-floor dining room is a fine-dining experience where servers will guide you through a menu with contemporary interpretations of Asian dishes and create a culinary experience just for you. Creekstone Farm's Sichuan Peppercorn Crusted Filet Mignon "Au Poivre"
$135 per person. This tasting menu offers guests a mixture of The Source's signature menu items. We focus on seasonal & local products of the highest quality throughout this experience. Please inform your server of any dietary restrictions or food allergies. We went there for my wife's birthday. I noted that the occasion was for a birthday when I made the res on Open Table. When we checked in the host greeted us with a Happy Birthday as did all servers and managers we interacted with. They even had Happy Birthday printed on our menus. Server was very helpful and offered great wine suggestions. Will definite be returning here on our next visit to DC! Our first visit. Food was well prepared and delicious. Service was attentive. A great evening meal. We went for my birthday and the staff was absolutely lovely! So attentive and very delicious food. Highly recommend! Great service and ambiance - excellent food, albeit a bit unoriginal and not authentic. The Source has been a regular stop when visiting our DC daughter - pleased to say they have even upped their already great service under a new manager who made sure everything was perfect. One of the restaurants in the city with the BEST service. They know how to do fine dining right!!! Delicious food, wonderful ambiance and outstanding service that I don’t experience regularly (unfortunately). Wonderful food, as usual. The server was attentive, although a little formal and deferential than my preference. Not that busy on a Saturday night, which concerns me for their longevity, but I would highly recommend Source. 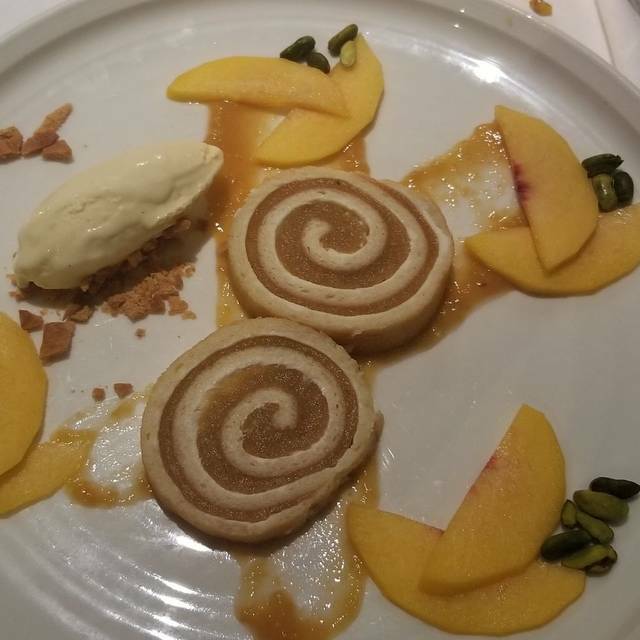 Amazing birthday dinner service; We celebrated my birthday here tonight and after reading serveral reviews, I was a bit iffy BUT I am a fan after dining with The Source. We started with the shrimp and carrot pot stickers and were served piping fresh scallion house bread along with our appetizer. Let me tell you, my 2 years old neice is a very picky eater and she loved the bread. The pot stickers had chunks of shrimp in them and the carrots in the sauce paired very well. We thorougly enjoyed the bread and app and were ready and excited for mains. For mains, we got the crab fried rice, chili icelandic cod (with XO fried rice) and Wok drunken noodles. They also refilled our bread basket which was duly welcomed. All three dishes were so yummy and fresh. 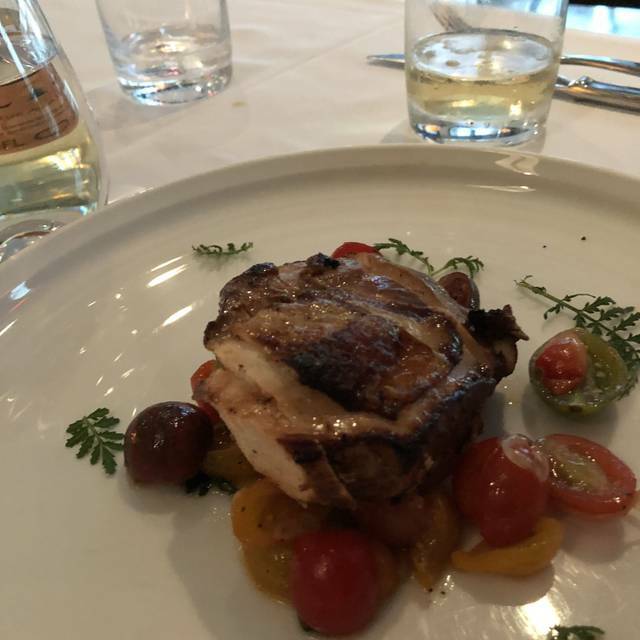 The fish had a spicy rub and was melt-in-your-mouth buttery to taste. The accompanying fried rice was also fresh and very yum. We love spicy food so the chili cod was perff for us. The crab fried rice was also a hit given how fresh and sweet the crab meat was. Lastly, the drunken noodles was a small portion but very yummy. We loved all our dishes and were full by the end of the meal (our reservations were for 9pm so we had eaten a bit before womp womp). 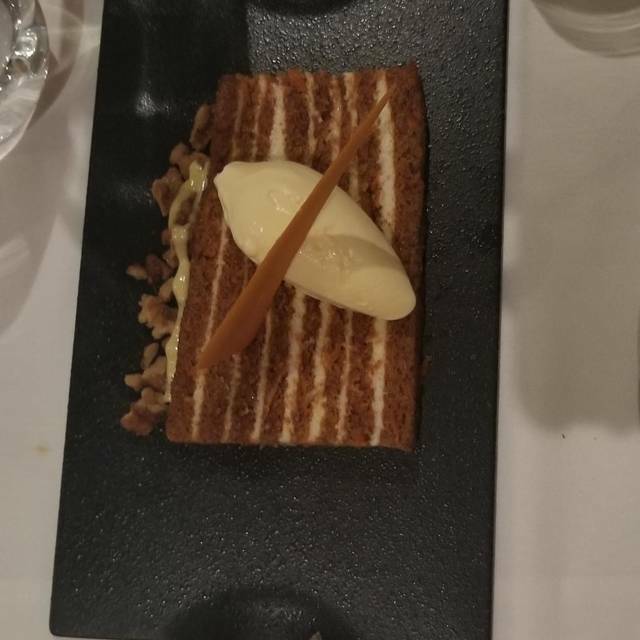 The server still brought out their signature fifteen layer carrot cake because of my birthday and it was delicious (shared by us all). The perfect end to a great meal. worth a try. the other reviews about lots of spices is spot on. the right amount of food, but expected more. We had a 1:30pm reservation for 3 and were seated downstairs. It was noisy through half the meal. My guests seemed to enjoy the fish salad recommended by the waiter. I had the three-dumpling serving. One was dried out, probably from sitting around. The beef tartar was excellent. The two appetizers were just right. We ordered single scoops of ice cream and sorbet. The waiter was accommodating. Overall, enjoyed the lunch. Interesting Asian fusion menu. The crispy duck dish was fantastic. The potstickers great. The suckling pig appetizer was very good, but portions a bit skimpy. The tables were awkward small, and you sit insanely close to the table next to you, but the food was amazing! Food and specialty cocktails are delicious. Unfortunately, the time between each course took way too long. 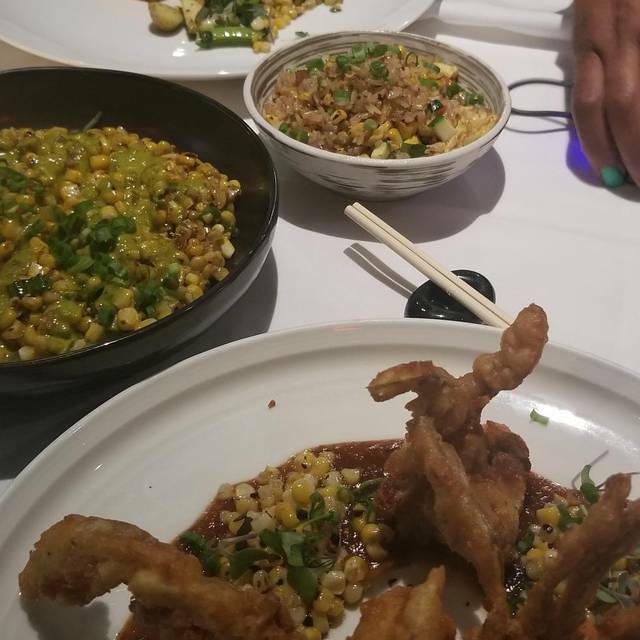 There have been some changes made to original menu [like the szechuan string beans that were delivered to table & replenished upon request] that have been removed with new chef. However, the offerings remain spectacular. I also had a horrendous experience with the Valet attendant on duty who should have been fired on the spot. The manager comp'd MY first drink for my trouble, not the first round for entire party of 2. This failed to take into account that my dining companion had to wait 30-40min as well to get our evening started. I felt the response, while management & waiter were very nice, was underwhelming given the incident. Probably one of the best meals I’ve had...chirashi bowl. Wait staff kind, friendly and attentive. Wonderful lunch with family. Good for a business lunch. I always go for the salmon. The wine list included a bottle of rose with a list price of $3. This was likely an error on all of the lists. The manager offered a complimentary dessert for bringing it to his attention but I believe he should have honored the listed price. Excellent food, very creative appetizers, main dishes, and desserts! Our service was outstanding which only made the food even more enjoyable! Our server Lauren was very knowledgeable about both the food and beverage list, and made a great recommendation for a cocktail even though I was hesitant and indecisive. Mis en place were unobtrusively delivered throughout the meal and we noticed the level of care each member of the FOH team had during our meal. 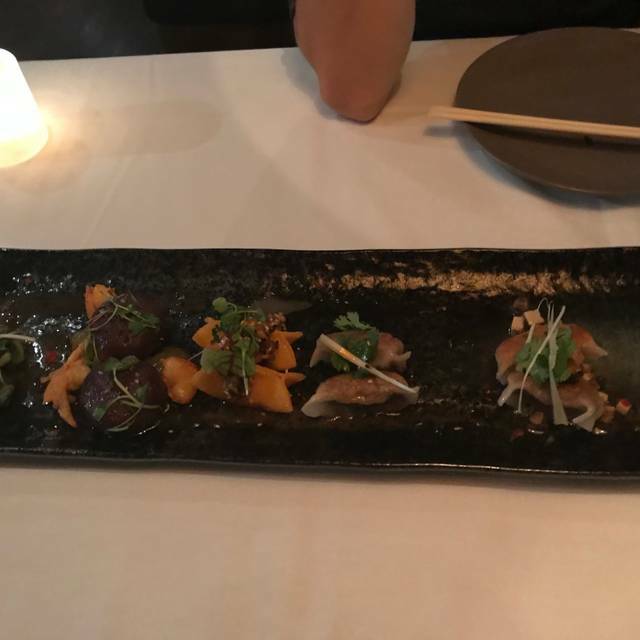 Each dish we tried was very impressive with flavors and presentation. 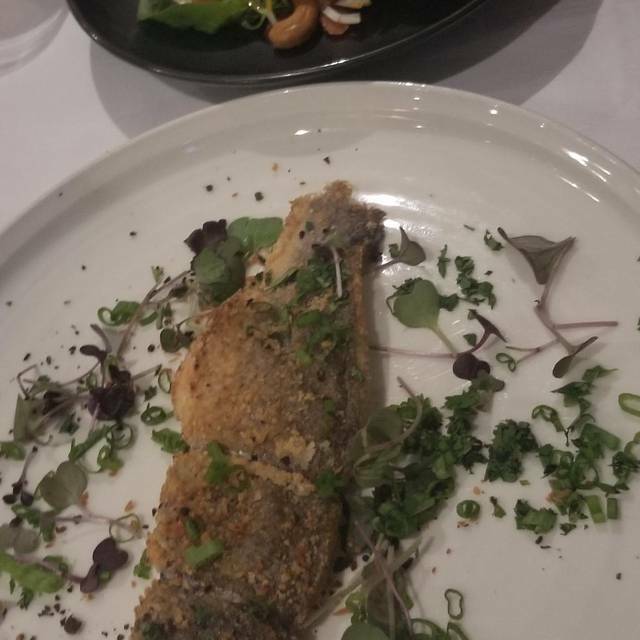 We dined very late on a Friday evening due to the fact we are both restaurant managers and we greatly appreciated that even though we were the last table which we honestly hate to do, we felt like nothing changed in our experience. 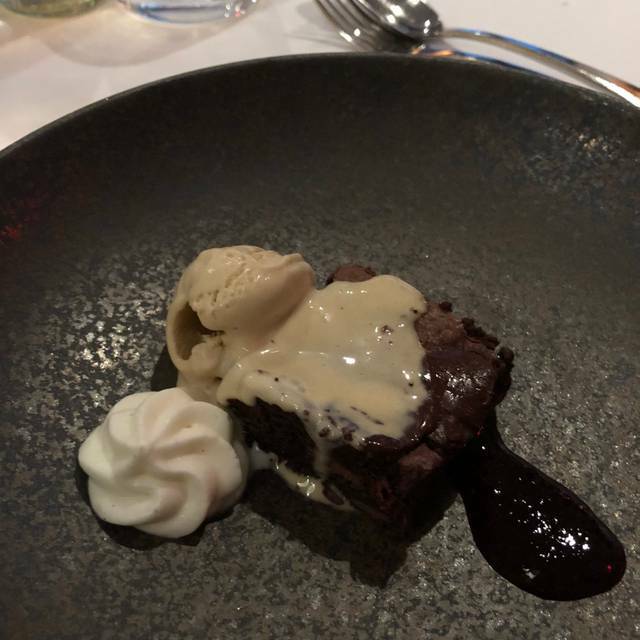 Thank you for taking such great care of us and we will highly recommend The Source as a wonderful dining experience to our friends and staff! My wife and I went. My instinct was that any restaurant using a brand name chef is likely to disappoint. With reliance on the name - why make the effort on the food. However we were both simply delighted . The food was delicious. The dishes seemed original and imaginative. The waiter recommendation to have the cold plum sake with the creme brûlée style desert was original and a wonderful combination to finish a memorable evening. Yes the bill was quite large - but I thought it nevertheless represented value and look forward to going again. I was underwhelmed by the foos and service. My fish was ok but a little too greasy for my taste. We had to ask for the waiter a few times and I literally had to find the waiter to bring him my credit card. Glad I was not there with a client. This has been the best restaurant we have had the pleasure to dine at during our stay in Washington. 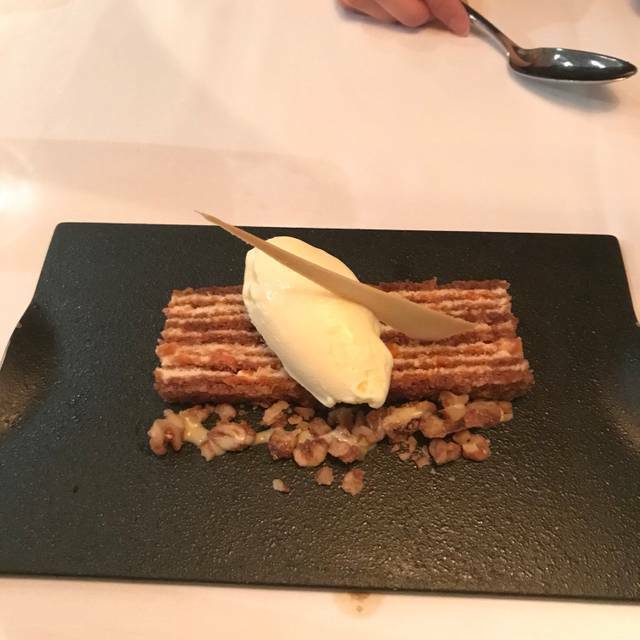 Elegant, but understated ambience; genuinely friendly and attentive staff; and the gourmet dishes were superb. Some of the finest food we have enjoyed anywhere in the world. That’s why we are booked for dinner there again on our last night in DC. I love this restaurant. The service is unmatched. Great food and perfect date night spot. Great lunch, tried the dumplings and the salmon, everything was delicious. The multi-layered carrot cake was worth the calories. Terrific food, responsive service. The only issue was a table of extremely loud young women next to us, but fortunately the staff were happy to accommodate our request to change table. The place is lovely, though the lighting was a bit on the dim side. Still overall, terrific meal and good service, so we will probably return. Though maybe at lunchtime! Wow. First time there. An amazing meal with phenomenal wine pairings. The duck drunken noodles, the branzino, the dumplings? WOW. Just WOW. The service from Erika was about the best I've had in the city. We'll be back. The flight of dumplings appetizer and the poached flounder were wonderful. The chicken salad was just OK - nothing special. Very pricey for what could have passed for prepackaged sliced bland chicken. We celebrated a 70th birthday at The Source this weekend and had a wonderful experience. We ordered the 7 course tasting menu with premium wine pairings. The kitchen accommodated our party's special needs and the food was delicious. The sommelier was wonderful and created a custom pairing to meet our party's preferences. The entire evening was amazing! Thank you! Fantastic service. We went on our anniversary and they took wonderful care of us. Food as always was exquisite. One of our favorites in DC! Phenomenal. Start to finish. Best seats in the house. Great service. 40th Birthday Celebration was 110% on point. Bravo! The Source is the best Asian fusion restaurants in Washington DC. Its dishes are not only unique but also delicious. If you are into Japanese Whisky, The Source's selection is one of my best in my opinion. The service and the recommendation for the dishes and drinks are one of the best. I highly recommend The Source. The best dim sum anywhere ! Went for their Valentine’s Day with high expectations. Place has a very corporate vibe. 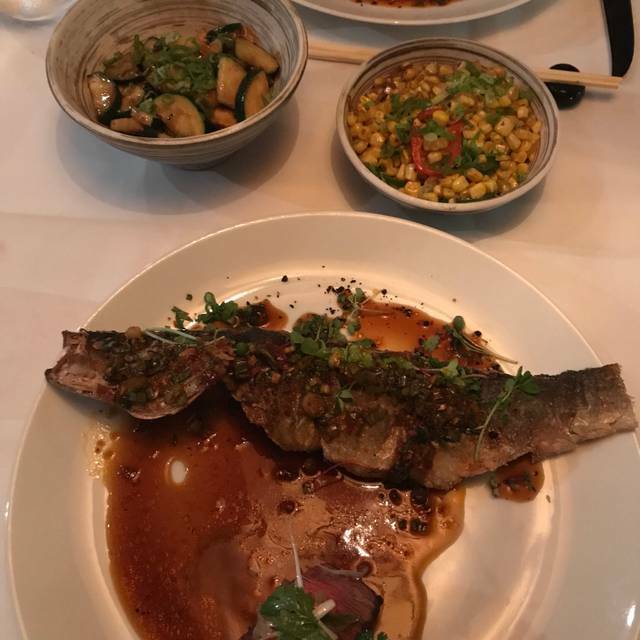 Overall the food wasn’t worth the price, very fatty duck and wasn’t the quality I was expecting, don’t get me wrong I’m no snob but it just wasn’t as great as I was expecting, pretty basic food and tons of fat in the duck. Sad to say but well past its prime. Although the kitchen still delivers, the restaurant is largely empty. Nothing undercuts a meal, especially on Saturday night, like the staff clearing tables because its 9:30 and the place has cleared out. Just no fun. Revamped menu seems like more of a money grab as well. Probably eaten here 10+ times over the year and thought the place had revamped a bit a few years ago but this time I could almost hear the death rattle.